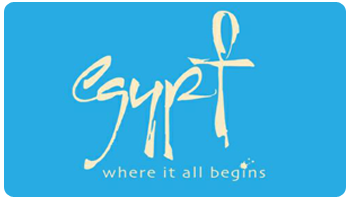 Despite ranking in the top 30 largest countries with its 1 million square kilometers of land, Egypt is a country that is notorious for its geographic ‘distribution’; 99% of Egypt’s population utilizes only 5% of the total land area, but nearly 100% of its aquatic resources is a result of the predominantly barren ecosystem. The lifeline of some 90 million human beings, the river Nile is the focal point of urban planning, an incredible 6,695 km gift of sustenance for Egypt and three other countries, making it the longest, and arguably most vital, river in the world. The Nile enters Egypt a few kilometers north of a Sudanese town called Wadi Halfa through a narrow canyon that traverses sandstone and granite cliffs. The northward flowing direction of the river has thus earned Egypt’s southern border the name “Upper Egypt.” Within this stretch of the Nile is the world’s most intensive concentration of temples, tombs and palaces constructed over a span of 4,000 years. This includes the temples of Abydos, Dendara, Karnak, Esna, Edfu, Kom Ombo, Philae and Abu Simbel, each conceived for their respective deities, further to the tombs in the Theban Necropolis within the Valley of the Kings across the river from Luxor. Absorbing the river-scape from the comfort of a felucca (small sail boat) is the epitome of pleasure, relished by locals and non-locals alike. This is easily arranged in Aswan, and larger Nile cruise boats can provide an even more luxurious experience. As this river continues to flow upwards past major cities and temples, it begins to branch out into a flower-shaped formation known as the Nile delta, covering 240 km of the Mediterranean coastline. Home to 39 million people, this is Egypt’s most agriculturally rich land with some of the most beautiful, soul-rejuvenating nature Egypt has to offer. Much like the Nile, the Red Sea coast, oncea microcosm of the world that hosted sailors from far away lands, has also become a pivotal part of the country. Turquoise waves break against rocky capes and windswept beaches in the foreground of an endless mountain range, a much-needed escape for the people of Cairo. The real lure here, especially for the non-locals, are the fabulous island reefs near the resort of Hurghada and the smaller settlements of Port Safaga, El-Quseir and Marsa Alam to the south. This entire region has seen a rapid transformation in the past two decades, catalyzed by surges of annual tourists, with the most notable development being the future construction of Egypt’s new capital city near this coastline. These destinations pack a powerful punch when it comes to travel-seeking vacationers. Shark-diving, snorkeling, and kite-surfing are complemented by the revitalizing effects of 18-hole golf courses, private beaches, open-air cinemas, and unrivaled night life scenes.